Categories: Poetry and Publications. 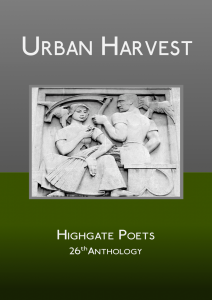 Tags: Robert Peake and Urban Harvest. Poets: Anna Meryt, Anne Ballard, Annemarie Cooper, Chris Gray, Diana Bishop, Eliza Gregory, Frances Galleymore, Loretta Freeman, Miriam Halahmy, Norbert Hirschhorn, Paul Stephenson, Ruth Ingram, Sami El Mahdi, Sarah Doyle, Tim Reid, and Vicky Olliver.